As one of the leaders of what I believe to be a great company, I am always on the look out for inspiration on how our company should be led. And sometimes that inspiration can come from unexpected places. Recently, I had the privilege of seeing The Avett Brothers live at Wolf Trap - an intimate outdoor venue just outside of DC. If you are not familar with The Avett Brothers, I highly recommend you watch the Judd Aptow directed documentary on HBO called, “May It Last.” And go see them live, the concert was amazing! 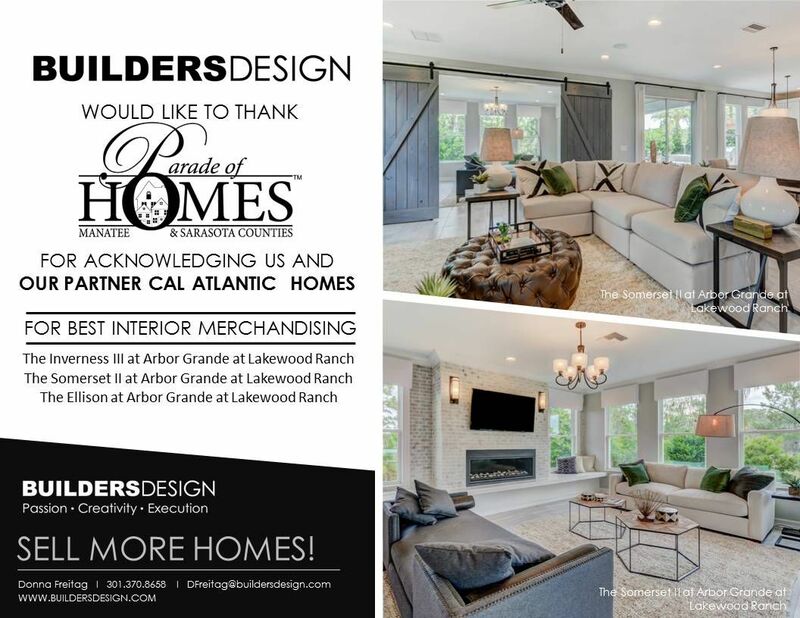 Builders Design wins Parade Of Homes! 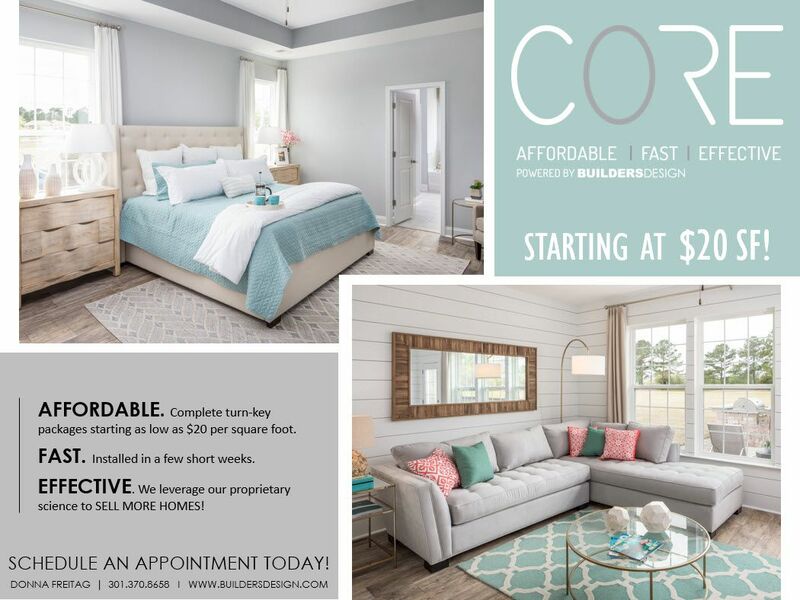 We are thrilled to announce that SIX of our Model Homes were recognized for Best Interior Merchandising in the Sarasota and Manatee County Parade of Homes! Islands have become a statement piece in the kitchen for their functional purpose, as well as the opportunity they present to create a great memory point through design. Here are some trends we're seeing with kitchen islands. Unique design features:Decorative island fronts have been a great way to draw attention to your open kitchen space. If you're looking to achieve this look, using bold and funky patterns paired with light and airy bar stools will balance out the design and add great impact to your space! Functionality: Take my word for it - If you're considering putting waterfall counter tops in a model home, reconsider! Especially if you're marketing towards a generation like Millennials or GenX who may have families. 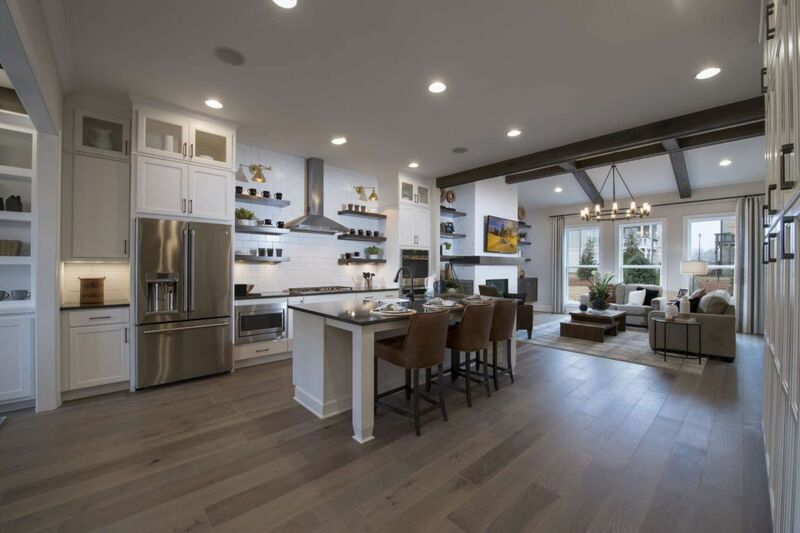 The 'Social Kitchen' is now the 'Workshop Kitchen,' for these generations, so buyers want to see a space that will make their lives easier. Larger islands that have open shelving on the side for dishware, or even a small table that is connected to island for casual dining are examples of small features that go a long way. If you've ever seen the movie The Devil Wears Prada, you'll recall Meryl Streep's famous line when she is going over the spring collection and she hears someone mention florals - "Florals? For Spring? Groundbreaking." Does anyone else have this reaction when they see a white kitchen? Yes, white kitchens are timeless, but also expected. 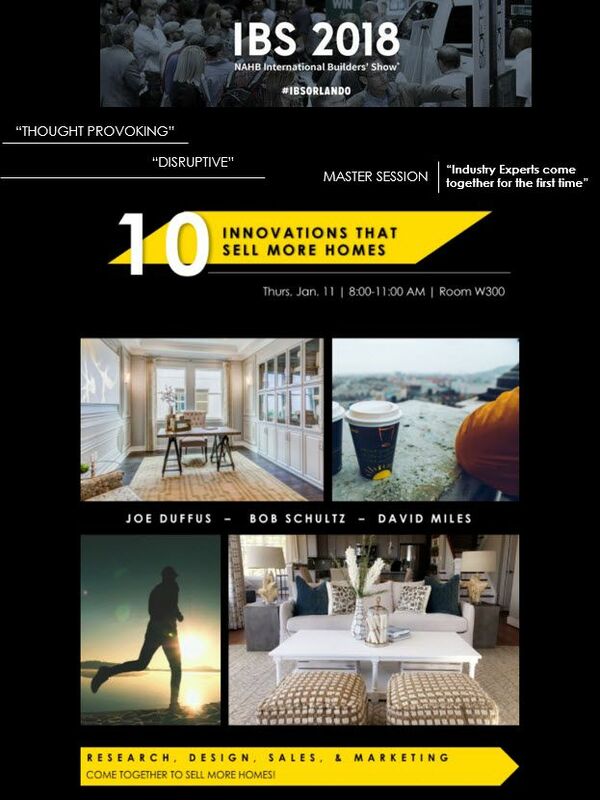 A great way to excite buyers is to show them something they rarely see (but will inevitably love). Take a page out of our trend book and start integrating darker hues into the kitchen. 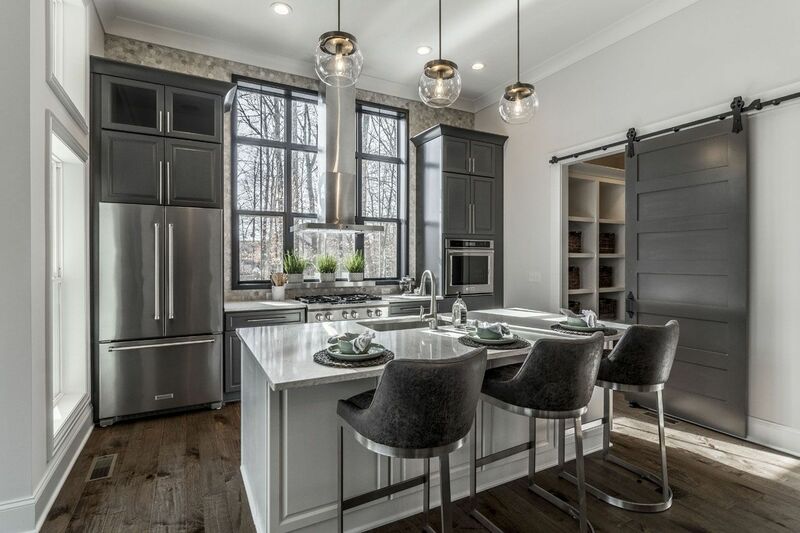 Dark counter top finishes such as striated/colored marble, quartzite, and/or soapstone are all great options to achieve a 'sophisticated meets contemporary' style. If you're not ready to go bold with dark colored counter tops or cabinets, opt for a more subtle surprise with matte black faucets and hardware. 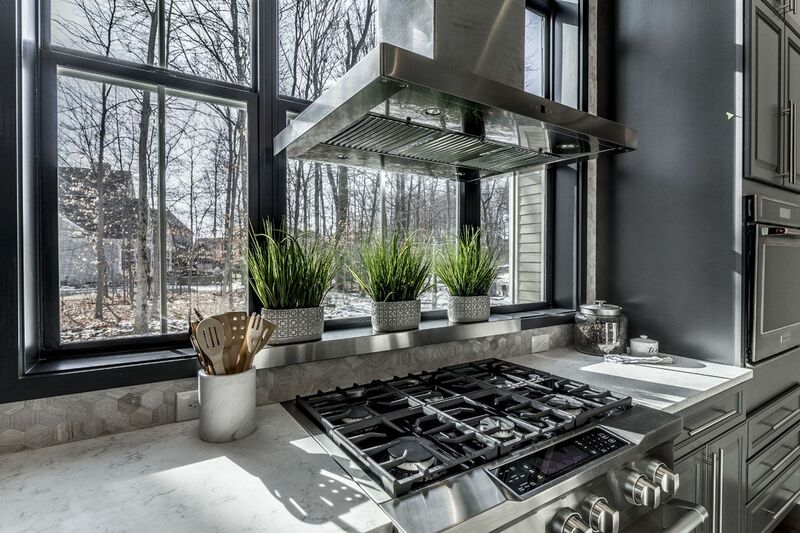 Outdoor Connection Points: Let the light in by installing a large window in the kitchen in lieu of a backsplash. Not only will the buyers fall in love with all the natural light, but more outdoor connection points is on everyone's home buying wishlist. 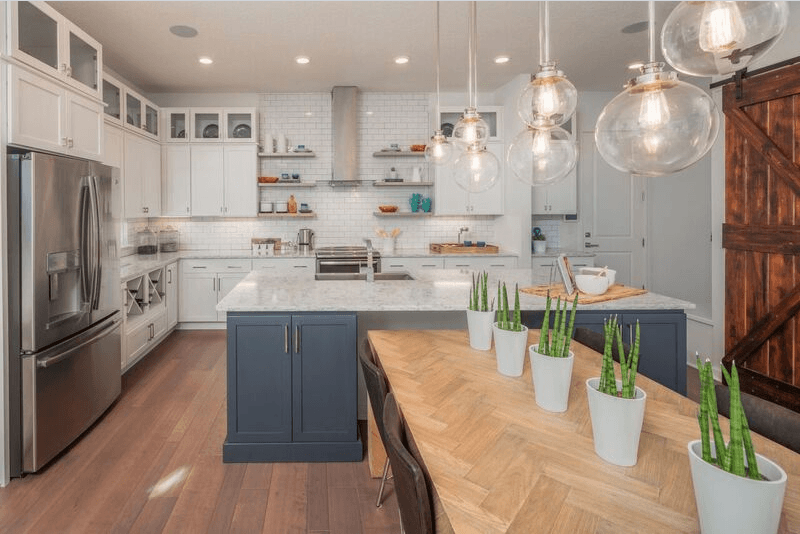 With pragmatic home buyers flooding the market, it's important to design a functional kitchen without sacrificing style. Stop losing sales by not putting your best foot forward. You are Sales Pros so I don’t need to tell you how important every second with a prospective customer is. You’ve probably read or heard about Margaret Wylde’s (http://www.promatura.com/) research: feeling at home is the number one contributor to high resident satisfaction in both independent living and assisted living. Hmmm … we’re asking people to give up their home and exchange it for community living, aren’t we? Might it be best to make our prospects feel at home? 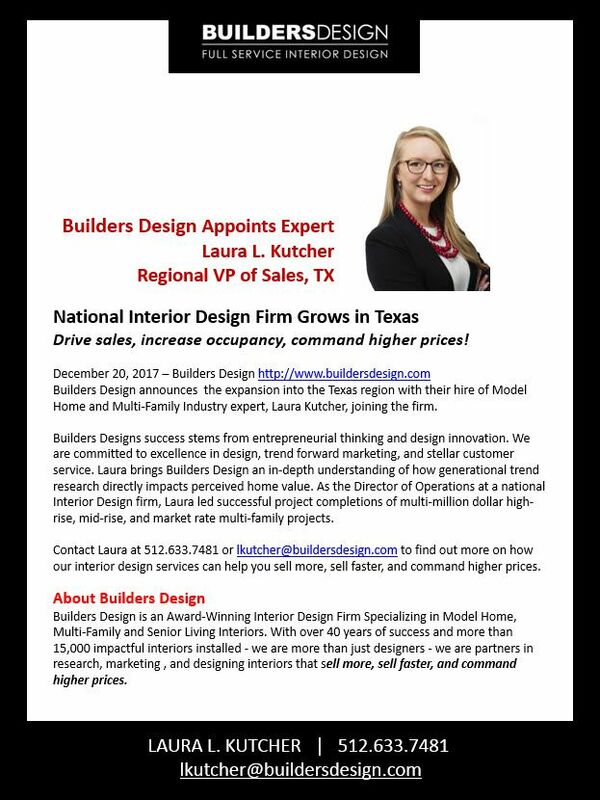 Come See Us At The 2018 International Builders' Show! 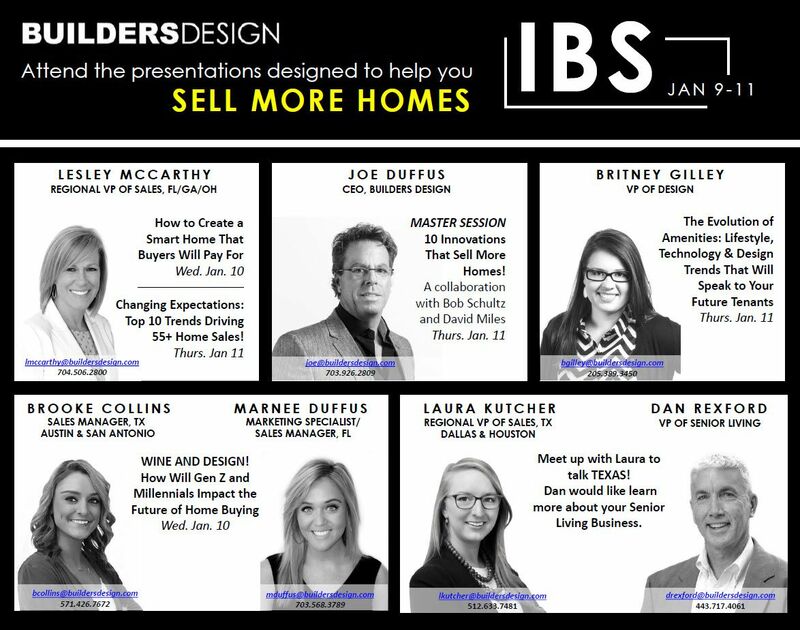 Our team of experts are hitting the floor at the 2018 International Builders' Show! We will be hosting 3 cutting edge presentations, 2 education sessions, and 1 Master Session throughout the week. Come meet the team and be sure register today! 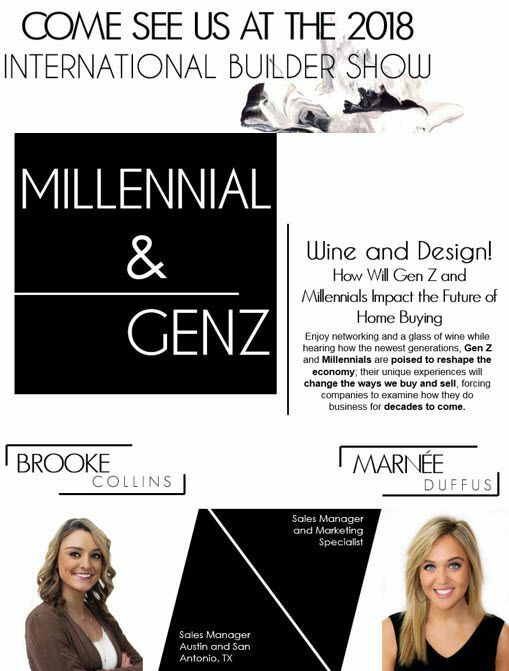 Wine And Design With Us At IBS!